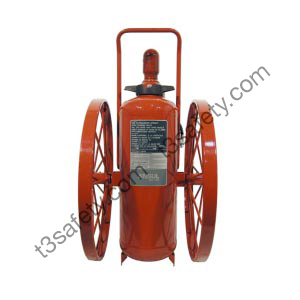 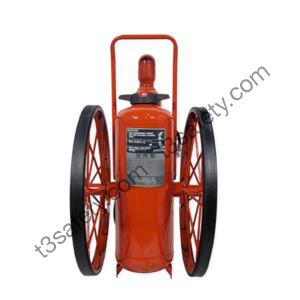 Wheeled Fire Extinguisher Units are designed to protect high fire-risk areas where the potential for large fires exists. 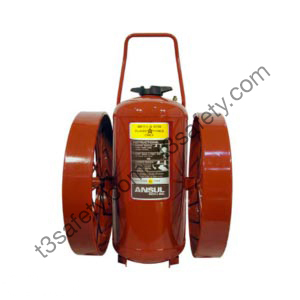 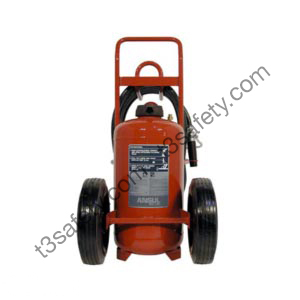 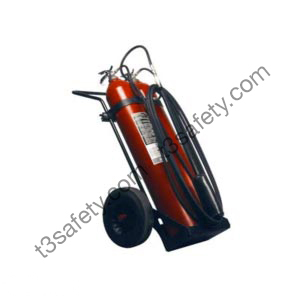 These heavy duty units have greater extinguishing agent capacities than portable extinguishers, yet are highly mobile and can be fully operated by just one person. 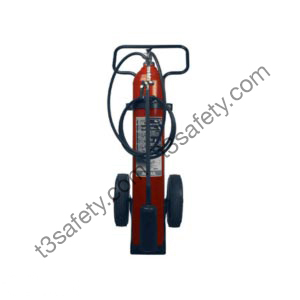 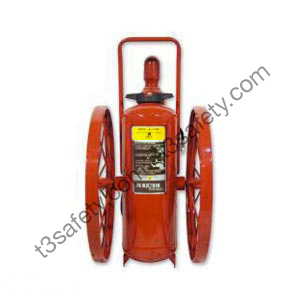 Typical applications of wheeled fire extinguishers include: airports, loading docks, steel mills, paint spray booths and heavy manufacturing areas. 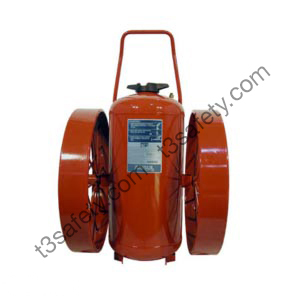 Monoammonium phosphate-based agent for use on class A, B and C fires. 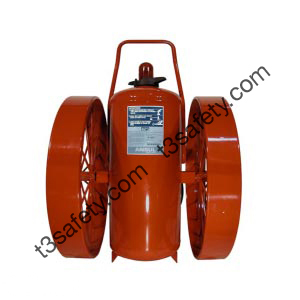 Widely used in the petroleum industry. 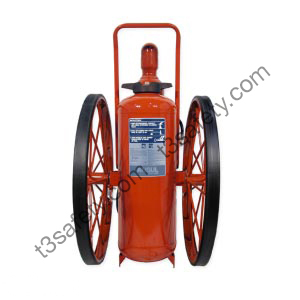 Suitable for class B and C fires. 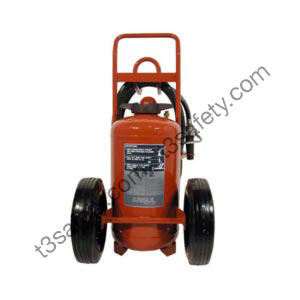 Potassium bicarbonate-based agent for use on class B and C fires. 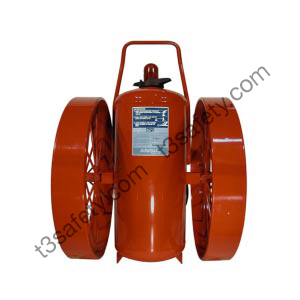 Widely used in the petroleum industry. Designed to protect areas where class B or class C fires could occur. 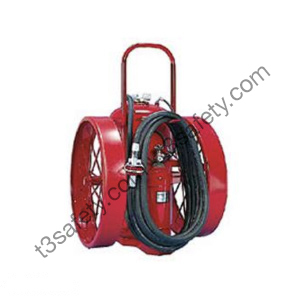 Typical applications include aviation hangers, paint spray booths, quench tanks, metal tube manufacturing, electronic equipment, and low voltage electrical equipment. May be used indoors where winds and drafts do not affect discharge or where a clean extinguishing agent is required.